For those who want to learn more about why we do what we do in the Divine Service, we always recommend Ceremony and Celebration and The Conduct of the Service. Additionally, we want to call your attention to resources found on the YouTube channel of Redeemer Lutheran Church in Fort Wayne, Indiana. Along with recorded services and Bible classes, there is a set of videos in which Pr. David Petersen describes historic practices and ceremony within the context of Divine Service 3. The videos combine parts of a recorded service with his commentary. As Pr. Petersen states, “All Lutheran rubrics, in a sense, are ‘may’ rubrics. 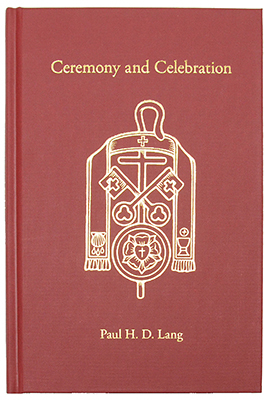 That is to say, everything in this is adiaphora.” His helpful explanation of these “ceremonies, particularly how they’ve been modified and in practice at Redeemer,” will be of interest both to pastors, who are the primary audience, and also to parishioners, who will benefit from deeper knowledge of the reverence and history of ceremony in the Divine Service. Watch the series: Parts One, Two, Three, Four, Five, Six.